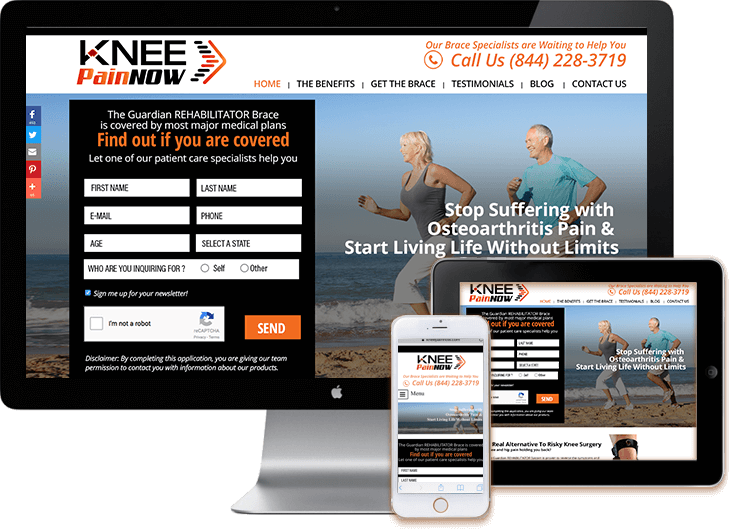 Promotional medical web site for knee brace Guardian Rehabilitator. Custom WordPress web site, Organic SEO & MailChimp integration. The Guardian REHABILITATOR knee brace System is proven to reverse the symptoms and discomfort associated with osteoarthritis so you can get back to doing the things you love to do with the most important people in your life.